Please reply or PM Karen (>>>) with your significant dates. Then we can support one another with ecard, emails, and prayer if so inclined. Include your name, your username, your baby's name, the date and year and the significance of the date. 2 Kelly, kaysdee, Angel #2, loss 2003. 2 Alison and Bradley, Alison and Bradley, New Years Baby, conceived 05. 6 Beth, Bethers, Baby Malecha 1, EDD 2005. 9 Joann, ejoann, Elliotte, loss 2004. --- Christine, ChristineB, Sara, loss, 2006. --- KerryAnn, KrankedyAnn, Twins, loss, 2006. 13 Anna, anna8660, George, EDD 2006. 14 Kari, Kariinbliss, Alexander James, EDD 2006. 18 JessSmith, Jessica and Joshua, Matthew, lost at 17 weeks, 2006. 18 Marion, Marion, Janie, loss 2008. 21 Joann, ejoann, Rebecca, loss 2005. 24 Jennifer, gaia1100, Baby, EDD 2007. 28 Alison and Bradley, Alison and Bradley, Honey Baby, EDD 2004. 31 Alison and Bradley, Alison and Bradley, Christmas Baby, loss 2005. 31 Alison and Bradley, Alison and Bradley, New Years Baby, loss 2006. 31 JP, japes, Angel, loss 2006. 31 26 Trish, tlazarin, Katie, loss 2006. 02 Kari, Kariinbliss, Angel, loss 2006. 03 Karen, Rileysmom, Casey Lee, loss 2006. 04 Kim, momtojoyandgrace, Zachary, EDD 2005. 04 Beth, BethersinMN, Baby Malecha 3, EDD 2007. 08 September, emberflame, Lane K., loss 2007. 09 Gail, Gail, Angel, loss 2004. 10 Jenny, Jenny, Joshua, EDD 2006. 10 Jenny, Jenny, Josiah, EDD 2007. 13 Bruce and Lisa, bmc, Elias (Kaja's twin) loss 2006. 14 Valicia, brownskinnedmix, Baby, loss 2006. 14 Heather, onemoretime, Delaney Grace, EDD 2007. 18 Marie, Marie, Chris, EDD 2005. 21 Jenn, jwinning221, Jakob Allen, loss 2007 (20 weeks). 22 Janice, janice, Theo, loss 2005. 28 Natalie, Natalie, Angel, loss 2005. 28 Suzanne, Suzanne, Baby, EDD 2008. 02 Susan, sarahsmom, Baby Jesse, born still 2005 (23w6d). 3 Deb, deb, Jessica Heath, loss 2006 (23 weeks). 10 Jenny, Jenny, Jordan, born 2005 (32 weeks). 11 Bridget, Caitlin's Mom, Ashely EDD 2003. 11 Jenny, Jenny, Jordan, died 2005. -- Alison and Bradley, Alison and Bradley, Sunshine Baby, conceived 2004. 23 Kim, momtojoyandgrace, Hope, EDD 2006. 6 Janice, janice, Stella, loss 2004. 13 Beth, Bethers, Baby Malecha 2, EDD 2005. 14 Tracy & Adam, tlm5999/uncannyman, Anna-Marie Grace, ED 2006. 17 Kelly, octobermomma, angel, loss 2006. 19 Toi, toi, lost a twin boy, loss 2005. 23 Kari, Kariinbliss, Peanut, loss 2006. --- Nikki, nikki0072004, Baby, EDD 2002. --- Alison and Bradley, Alison and Bradley, Sunshine Baby, loss 2004. 1 Jaime, momgaudet, angel EDD 2007. 3 Janie, janiecw, Baby, EDD 2007. 7 Joann, ejoann, Quinton, born 2003 @26weeks. 8 Jenny, Jenny, Jordan, EDD 2005 (Mother's Day). 8 Debbie, DebbieS, Samantha, EDD 2006. 10 Alison and Bradley, Alison and Bradley, Honey Baby, conceived 2003. 11 Suzanne, JCLHJ Mom, Hope died 2004. 13 Taressa, taressa79, Baby, loss 2006 (Eve of Mother's Day). 13 Opal, opal, Baby, EDD 2007 (Mother's Day). 21 Beth, Bethers, Baby Malecha 1, loss 2004. 25 Suzanne, JCLHJ Mom, Hope, loss 2004. 26 George and Maria, Twins, EDD 2006, lost with Mommy 11/25/05. --- Crystal, freesgirl, Faith, EDD 2005. 8 Joann, ejoann, Quinton, died 2003 . 8 Trudy, Trudy, Laura and Abby, EDD 2003. 8 Kelly, kaysdee, Angel #1, EDD 2003. 10 Beck, Beck, Jack, EDD 2008. 20 Kari, kariinbliss, Alex, loss 2005. 23 JessSmith, Jessica and Joshua, Matthew, EDD 2006. 28 Robin, rdevine10, Baby EDD 2005. --- Marie, Marie, Chris, loss, 2004. --- Pamela, PamelaRose, Baby, loss 1996. --- Suzanne, JCLHJ Mom, Jonathan, loss 1998. -- Amy, my3sons, Benjamin, EDD 2006. --- Erin, princess, Angel #1, EDD, 2004. 07 Deb, deb, Jessica Heath, EDD 2006. 07 Jennifer, gaia1100, Baby, Loss 2006. 13 Jenn, jwinning221, Jakob Allen, EDD 2007. 18 Alison and Bradley, Alison and Bradley, Honey Baby, loss 2003. 22 Tracy & Adam, tlm5999/uncannyman, Anna-Marie Grace, conc. 2006. 24 Erika, Yaya70, Baby Faith (Cecilya's little sib) EDD 2004. 25 Christine, Christineb, Sara, EDD 2006. 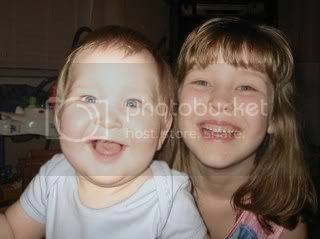 26 Brooke, brookescott, Caiden Nicholas (17 weeks), loss 2006. 27 Kelly, kaysdee, Angel #2, EDD 2003. 28 Beth, BethersinMN, Baby Malecha 3, loss 2006. 6 Janie, janiecw, Baby, conceived 2006. 15 Gail, Gail, Angel, EDD 2004. 17 JP, japes, Angel, EDD 2006. 23 Janie, janiecw, Baby, loss 2006. 26 Trish, tlazarin, Katie, EDD 2006. 28 Valicia, brownskinnedmix, Baby, EDD 2006. 29 September, emberflame, Lane K., EDD 2007. -- Becky, springtime, loss 2006. 1 Karen, Rileysmom, Casey Lee, EDD 2006. 1 Janice, janice, Theo, EDD 2005. 3 Tracy & Adam, tlm5999/uncannyman, Anna-Marie Grace, loss 2006. 4 Riella, truemists, Aislin Violet, loss, 2002. 6 Kim, momtojoyandgrace, Hope, loss 2005. 9 Kelly, kaysdee, Angel #3, Ella, loss 2004 (wedding anniversary). 16 Alison and Bradley, Alison and Bradley, Christmas Baby, EDD 2005. 20 Kelly, octobermomma, twins, loss 2007. 24 Kim, momtojoyandgrace, Zachary, stillborn 2004. 26 Suzanne, JCLHJ Mom, Lily, loss 2003. 26 Alison and Bradley, Alison and Bradley, New Years Baby, EDD 2006. 26 Sarah, Rubygirl8808, Aidan Philip, EDD 2005. 26 Kelly, octobermomma, Faith, loss 2005. -- Amy, my3sons, Benjamin, conceived 2005. 04 Crystal, freesgirl, Faith, loss 2004. 05 Brooke, brookescott, Taylor Blakely, loss 2007. 08 Kari, Kariinbliss, Angel, EDD 2006. 10 Hilary, Hilary, Twin boys (18.5 weeks), loss 2000. 10 Suzanne, Suzanne, Baby, loss 2007. 11 Kelly, kaysdee, Angel #1, loss 2002. 13 Natasha, Hope45, Damien, EDD 2006. 15 Janice, janice, Stella, EDD 2004. 17 Opal, opal, Baby, loss 2006. 26 Trudy, Trudy, Laura (Abby's twin), loss 2002. 29 Debbie, DebbieS, Samantha, loss 2005. 30 Kristy, Kajoskir, Kira, loss 2005 (38 weeks). 31 Trudy, Trudy, Abby (Laura's twin), loss 2002. 31 Natalie, Natalie, Baby, EDD 2005. 09 Janene, janbabe, lost angel, EDD 2007. 10 Sylvia, sylvia, Baby EDD 2007. 14 Kristy, Kajoskir, Kira, EDD 2005. 16 Beth, Bethers, Baby Malecha 2, loss 2004. 17 Robin, rdevine10, Baby, loss 2004. --- Kelly, kcmjpm23, James, loss 2005. ---Casondra, sonie716, Baby, loss 2004. ---Kari, Kariinbliss, Peanut, EDD 2006. 24 Jenny, Jenny, Autumn Joy, loss 2005. 25 George, ggi1818, Maria Gabriela Giani and their twins, loss 2005. -- Amy, my3sons, Benjamin, loss 2005. -- Alison and Bradley, Alison and Bradley, Sunshine Baby, EDD 2004. 4 Suzanne, JCLHJ Mom, Hope, EDD 2004. 5 Erin, princess, Angel #1, loss 2003.
mid month Pamela, PamelaRose, Baby, EDD 1996. 19 Beck, Beck, Jack died, 2007. 20 Beck, Beck, Jack born, 2007. 20 Jenny, Jenny, Jordan's diagnosis, 2004. 20 Megan, mdeban, Faith, EDD 2006. 25 Nikki, nikki0072004, Jack, EDD 2000. 25 Alison and Bradley, Alison and Bradley, Christmas Baby, conceived 04. 31 Erika, Yaya70, Baby Faith (Cecilya's little sib), loss 2003. Last edited by IslandDreamer on Jun 28, 2009 8:03 pm, edited 107 times in total. please add my baby EDD 2/14/06 (15 weeks)..after all that suffering with HG....its tragic and unfair. Please check that I have spelled everything correctly and have all the dates right. Sigh, I so wish these little ones were here with us. Oh NO! I'm so sorry. Deepest sympathies to you and your family. I added Aidan Philip for you. Please make sure I got the information correct. Can u change my post on Feb 14th from baby to Delaney Grace (we gave her a name) lost at 16 weeks. Thanks! I've added your daughter's name. Susanne, Thank you for directing me here. Induction at 37 weeks on April 9!!! Our other twin is still going strong at the moment. Please keep them in your prayers. Please add Faith 9/26/05 and our angel 4/17/06. my dughter taylor was due 03-03-2003. 2 Severe HG pgs and three beautiful angels. "Don't tell me that I won't, I can. Don't tell me that I'm not, I am. Don't tell me that my master plan ain't comin' true. Don't tell me that I won't, I will. Don't tell me how to think and feel. Don't tell me 'cause I know what's real, what I can do" --Joss Stone "Free Me"